Salt Optics is an American eyewear company that offers exclusive collections of sunglasses inspired by Japanese craftsmanship. From sun to optical glasses, this store has the perfect eyewear for men and women with sleek and innovative designs and styles. With Big Apple Buddy’s personal shopping service, you can now buy direct from the Salt Optics online store anytime, anywhere. The Salt Optics Explorer Sunglasses are the hot new glasses for the summer. The all-around titanium eyewear has a unique and chic design that will make you stand out wherever you wear them. These glasses come in Black Sand and Traditional Silver colors depending on your style - no matter what, you'll be sure to match with any outfit. Best of all, they're extremely comfortable! For the ladies, the Salt Optics Blanchett Sunglasses is the most stylish option for your night out. They combine the vintage, classic look with a modern, fun twist. No matter what you wear, these glasses will be the perfect finishing touch to your outfit. 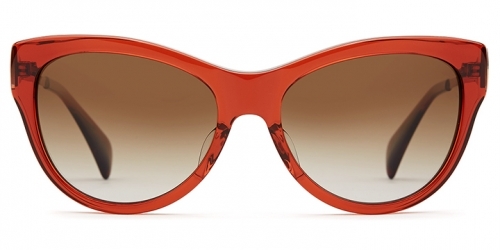 Your eyes will be protected from the sun and you'll look good doing it! Choose from any of the three colors- Pumpkin Spice, Pale Powder, or Black Oak/Honey Gold. Don't miss out on the Salt Optics Kintner Sunglasses! The designs are inspired by natural patterns and colors so you'll get one of a kind styles. The fine acetate material make the glasses light and comfortable so they're not intrusive in any way as you wear them throughout the day. Whether you're looking for casual or more dress up kind of shades, the Kintner glasses will work on any occasion. Unfortunately, the USA Salt Optics online store does not currently offer international shipping. However, Big Apple Buddy, your personal shopper, can help you buy products direct from the official USA Salt Optics online store and ship them to your doorstep, no matter where you are in the world. We offer international shipping to over 110 countries including Australia, Austria, Azerbaijan, Bahrain, Belgium, British Virgin Islands, Brunei, Bulgaria, Canada, Chile, Costa Rica, Croatia, Czech Republic, Denmark, Estonia, Fiji, Finland, France, French Polynesia, Germany, Gibraltar, Greece, Greenland, Hong Kong, Hungary, Iceland, Indonesia, Ireland, Israel, Italy, Japan, Jordan, Kuwait, Latvia, Liechtenstein, Lithuania, Luxembourg, Macau, Malaysia, Maldives, Malta, Marshall Islands, Mauritius, Monaco, the Netherlands, Netherland Antilles, New Zealand, Norway, Oman, Poland, Qatar, Romania, San Marino, Saudi Arabia, Serbia and Montenegro, Seychelles, Singapore, Slovak Republic, Slovenia, Spain, South Africa, St. Lucia, Sweden, Switzerland, Taiwan, Thailand, the UAE, the UK, Vatican City, and Vietnam. If you would like to buy from the USA Salt Optics online store, simply let us know which items you would like to order (by filling out the form below) and we’ll get back to you with a free international shipping quote within 24 hours!